Originally it was believed that if New Orleans was to be a USFL city, it would be David Dixon, not Joseph Canizaro, who made it a reality. 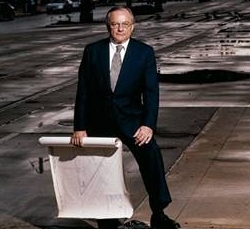 Dixon, the founder of the USFL, was a New Orleans-based antique dealer and, holding a franchise as his compensation for putting the league together, was expected to make New Orleans the home of his team. Dixon sold his franchise rights, however, and when the Boston Breakers were put on the block after unsuccessful efforts to secure access to local venues such as Harvard and Foxboro Stadiums, Canizaro stepped forward and brought the Breakers to New Orleans. Playing in the Louisiana Superdome the Breakers of New Orleans drew more fans than they had in Boston at tiny Nickerson Field, but the decision to move the USFL to a fall schedule in 1986 put Canizaro in a bind. 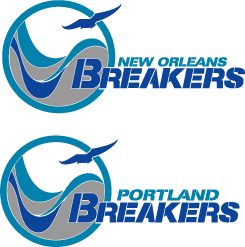 Knowing the Breakers couldn't compete with the beloved Saints, Canizaro moved the team again - to Portland, Oregon - with less than stellar results. The Breakers were to be one of nine teams to play in the fall of 1986, but after losing a reported $17 million in just two years, Canizaro had had enough of the USFL and decided to make a break with the Breakers. After his USFL ownership stint, Canizaro went on to form Firstrust Corporation, and he continues to serve as Firstrust's chairman along with First Bank and Trust. He also remains President and CEO of Columbus Properties, his real estate development firm, serves on numerous boards of local civic organizations, and is a leading figure in the New Orleans recovery effort.